Certified document controller course delivers Basic of tools GUI, Codes & Standards, Equipment Modeling, Tools Structure, Tools Draft Module. +–What is the objective of certified document controller course? 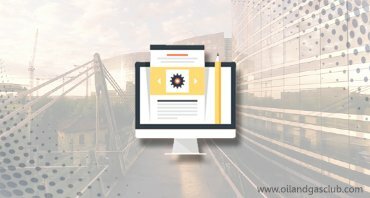 Certified document controller course (Construction, Oil & Gas, Infrastructure, Resources, Energy, Pharma & Manufacturing) is offering to freshers and experienced people who’s start their career as a document controller (or) document control manager in information technology and private social sectors including oil & gas, petrochemical, refinery, power plant, fabrication industries, chemical industries and IT industries etc. Certified document controller training course provides detailed practical information, fundamental concepts such as document checks, numbering, identification, filing, distribution as well as this course includes roles & responsibilities of document controller, type of documents, drawing symbols, codes and standards. ▸▾How engineering students benefit from document controller course ? Students who wish to pursue higher educational having strong oil and gas industry can also benefit from certified document controller course potential to get part time jobs in these industries while they study abroad and helps to achieve financial assistance and finally get into jobs on a full time profile with in oil and gas industries. ▸▾Pay-scale of Document Controller ?